Pricing based on roof complexity. Contractor Alliance Program Members receive a 20% discount. But wait, there's more! Access advanced features and save big with a CONTRACTOR'S EYE MEMBERSHIP. Receive a roof square estimate within 15 minutes with Contractor's Eye Now and create a quote while onsite. 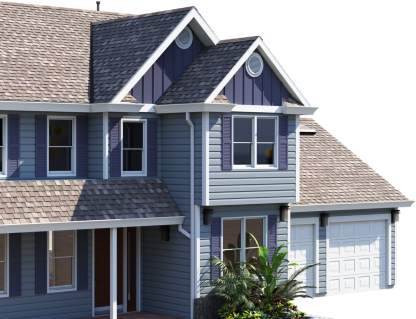 Receive the 3D model & measurements for your first property for FREE – no credit card needed. What type of buildings does Contractor’s Eye support? Contractor’s Eye supports single-family and multi-family properties at this time. How much does it cost to sign up for Contractor’s Eye? You can download the Contractor’s Eye app from the App Store or Google Play at no cost. You’ll also receive your first property for free – no commitment needed – so you can try Contractor’s Eye 100% risk-free. Do I need to put a credit card on file when downloading Contractor’s Eye? No, you can start using Contractor’s Eye without putting a credit card on file. How is each property priced? The price for each property depends on the roof complexity, calculated based on the number of roof facets. The more cut up the roof, the more expensive the property will be. Is there a monthly cost associated with Contractor’s Eye? No, you pay per property. If you want to receive access to advanced features or discounted pricing, you can choose to sign up for the Contractor’s Eye membership for $54 / user / month. Will I receive the full 3D model for a Roof-Only order? No, only the roof section of the property will be rendered in 3D. You can upgrade to a Complete order at any time to receive the full 3D model and only pay the difference. Don’t just take our word for it – test Contractor’s Eye yourself.